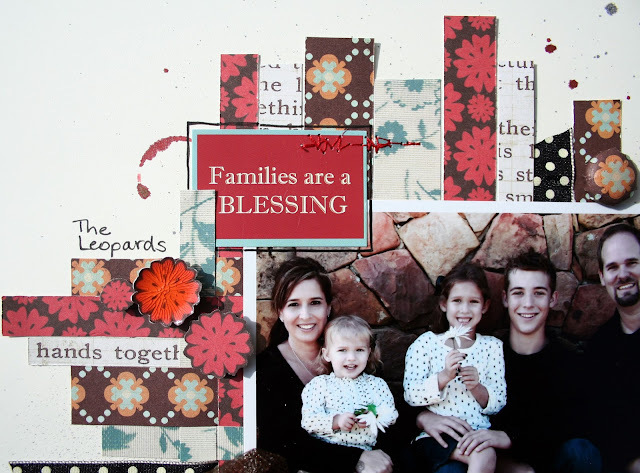 I made this layout this past weekend using a Lilybee collection that I have had been holding onto since the fall. I knew I wanted to use it for our family photos that we took in November so I hoarded it. I only had 2 sheets of paper and a sticker sheet from this collection so I challenged myself to stretch it as far as I could. This might just be one of my new favorite layouts! Supplies: Lilybee Designs Catching Fall Collection - Cider and Caramel Apple papers, Catching Fall Stickers, Brown Mesh Flower, Imaginisce i-rock (small & medium brad daddies), Tattered Angels Glimmer Mists - Charcoal, Brick, Tattered Leather. As I mentioned I didn't have a lot to work with but I think I stretched it pretty far. Would love to get my hands on more complete collections. I'll be petitioning it at my LSS's for sure! I made a sketch based on my layout in case anyone wants to play with it! Misted with 3 different colors of Glimmer Mist - Charcoal, Brick, Tattered Leather. To make the circle rings I sprayed the caps of the mists and then placed them down on the paper. I love the look it gave. I cut random sized strips of paper and wove them together, using both sides of the paper. I included a strip of ribbon in there as well to give it a little something, something. After the weaving, I placed a sentiments sticker in the mix to replace where I would had originally planned to put my title. I also placed the big, mesh flower on the layout. I added some strips to the upper right, along with a journal block and another sentiments sticker. I placed a medium sized brad made with my i-top and a little fussy cut flower. I loved the banners that came with the sticker sheet but I knew a banner wanted to stretch the concept of the banner, plus I knew a traditional banner would not be appropriate for this layout so I placed an odd amount (5) in the upper left to complete my triangle. I added another brad and fussy cut flower to the layout and then I used glossy accents and crackle accents on all 4 of them. It's interesting how the crackle gloss turned the color of the paper from brick red to auburn. Those two accents were from the black with red flowers paper. I kept them because the color turned out to match so well. Lastly, I stitched in various placed over the layout. I really love how this layout turned out and I hope you do too! awww this really came out cute. 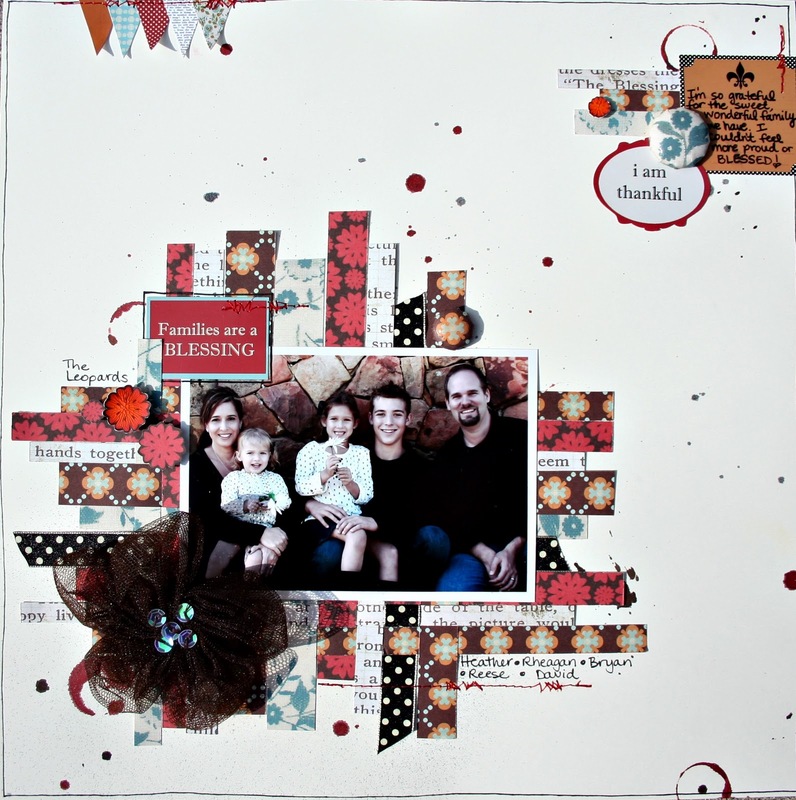 Fab layout! The sketch is brilliant too, I might have to use that! Great layout, love how fun it is! super super super gorgeous!! 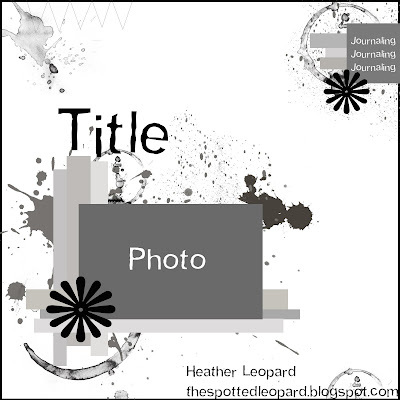 Love the aplatters. this is WONDERFUL! The strips of paper are so GREAT! !